It’s not often that the eyes of the country are fixed on Fresno. 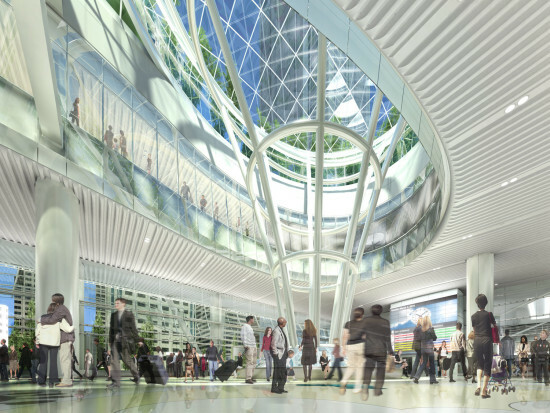 But this week, after years of fights and dozens of lawsuits, California’s $68 billion High Speed Rail system is finally breaking ground there. The system, funded largely by state and federal money (much of that is still pending), is expected to eventually extend 800 miles from Sacramento to San Diego and include 24 stations. A route from San Francisco to Los Angeles is expected by 2029. The first stretch of the electric bullet train initiative, between Fresno and Bakersfield, will be built by Dragados/Flatiron/Shimmick. 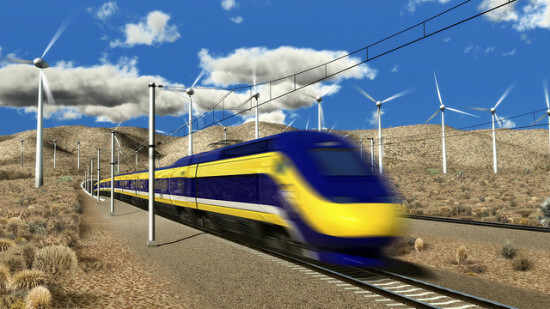 Construction is beginning in the Central Valley, say officials from the California High Speed Rail Authority, to lower costs, speed construction, and get access to more federal funds. They noted that the plan will add a much-needed economic boost to the emerging area’s long-struggling cities, like Fresno, Bakersfield, and Merced. 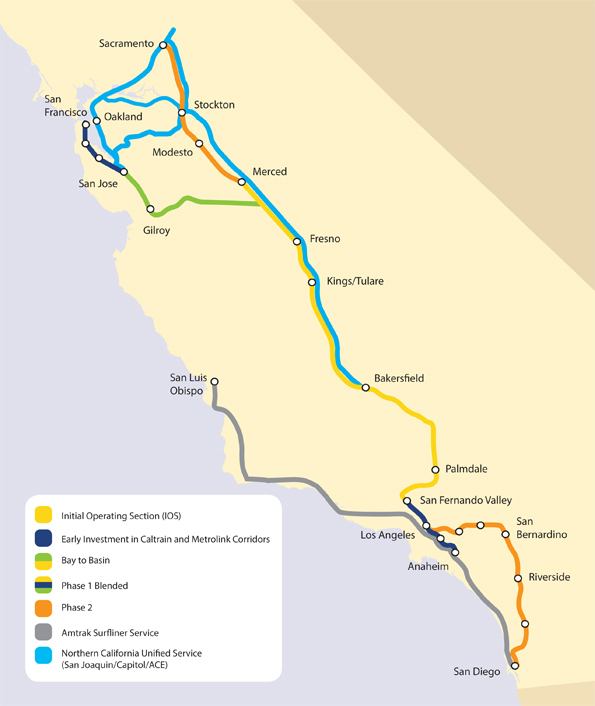 The second phase of construction will connect the Central Valley to the San Fernando Valley, the third will connect the Central Valley to San Jose, the fourth will connect the San Fernando Valley with Los Angeles and Anaheim, and the fifth will complete the connection from Sacramento to San Diego. New stations are moving ahead, some faster than others. 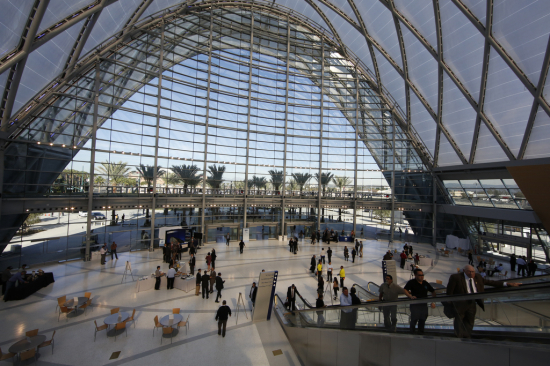 Anaheim just opened HOK and Buro Happold’s ARTIC Station, Los Angeles is beginning radical changes to Union Station designed by Grimshaw and Gruen, and San Francisco is building perhaps the most ambitious of them all, Cesar Pelli’s Transbay Center. 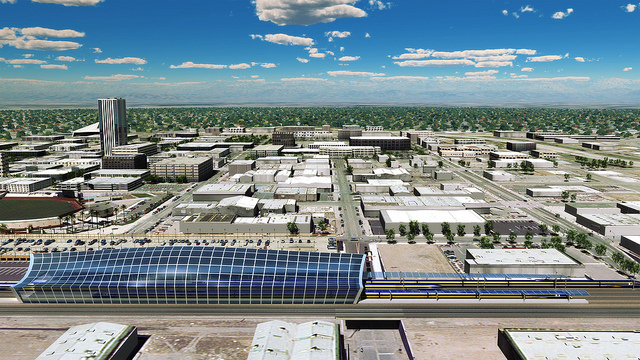 Even Fresno is getting in on the act, hiring AECOM to study a station there. 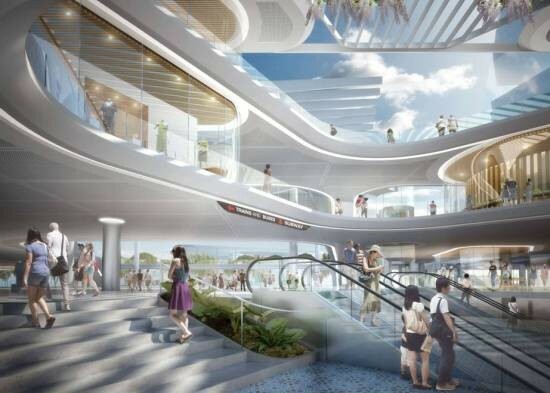 Besides needing billions more dollars, the High Speed Rail Authority still has to condemn thousands of acres of land before this all becomes reality.